From the green shoots of spring, the turning of leaves in the fall and the white crisp snow of winter, each year brings new life. ...get to know our sled dog residents. December 2018 - Our New Gift Shop! Visit our new gift shop and help support the dogs of the Sanctuary in a whole new way! 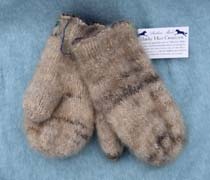 All of our items are sled dog related and many are made possible by a contribution from the very dogs themselves! In the warmth of spring every dog is eager to be rid of their warm winter under fur. As it is naturally shed away we brush and collect this fiber to spin and turn it into yarn to make soft wearable items for you to enjoy. From hats to headbands, and many more new patterns we develop over the winter months, there is always something new and exciting in our gift shop just right for you! Husky hair also makes a unique gift! 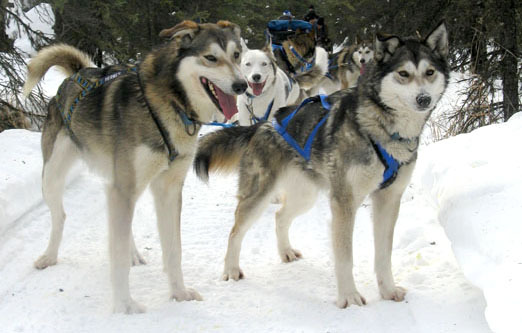 Join our sled dog team! 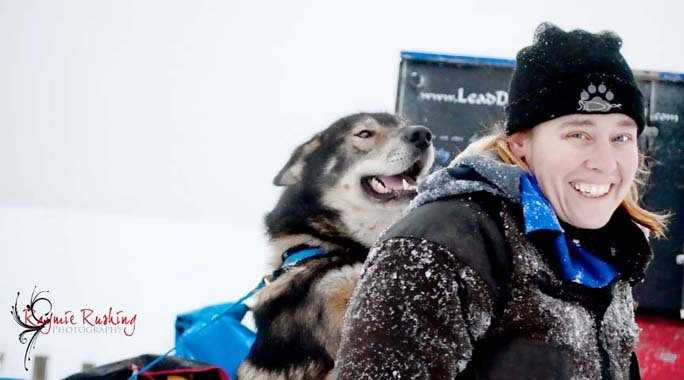 Sponsoring a sled dog is a great way to help support sled dogs in need! The Sled Dog Sanctuary maintains a maximum carrying capacity of 25 sled dogs on our forty acre facility. Every dog in the kennel is cared for by two full time mushers with a 20+ years of experience in training, housing and looking after their every need. This on-site support is only half of what makes the Sled Dog Sanctuary great... the other half depends on you... to feed, house and train each dog we need your support to provide the necessary funding for food, vet care and supplies keeping everyone cozy and warm all throughout the winter. Show your support and join today at the many levels we have available and receive our free gifts as a thank you for supporting these amazing athletes! 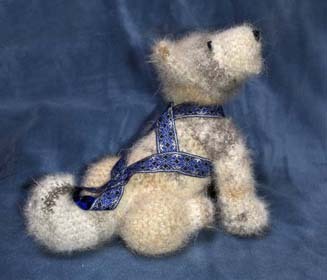 Click here to sponsor your very own sled dog today! In the fall of 2016 we were invited to write an article for Mountain Magazine about the Sled Dog Sanctuary. It was a bit of a struggle to focus and reflect all the way back to 2002 and feel those horrible memories of neglect and starvation all over again. The pain and abuse we witnessed not only fueled a passion of helping those dogs in need but continues on to this day in the strength we give back to the sled dogs in our care, and those yet still to come. To read the full Mountain article click here. At the Sled Dog Sanctuary we are happy to welcome all kinds of visitors locals, tourists, volunteers, adopters and reporters. In the summer of 2015 we had a delightful visit from reporter Laurel Andrews and photographer Marc Lester from Alaska Dispatch News who came out to meet the dogs and learn more about what we do here at the Sanctuary. The dogs loved all the extra attention (as they always do when visitors come by) and after the interview was done we headed back to work with little thought as to where the story would go. A few weeks later we found ourselves in the midst of a crisis as wildfires broke out all around the Sanctuary burning thousands of acres with full evacuation of every sled dog quickly becoming a very real possibility. Fortunately we remained outside the path of the blaze and just as things started calming down again we were notified that not only was our story live on adn.com but that we had had made front page of the paper itself! In the weeks to come our numbers steadily increased on Facebook and showed no sign of slowing down. A bit of searching on the internet found the Alaska Dispatch Article had been picked up by local papers around the state and was starting to make its rounds in the lower 48 states as well! Many sled dogs call the Sanctuary home, some are just passing through while the more troubled cases will spend their whole lives within the Sanctuary. There are many ways you can support the dogs in the Sled Dog Sanctuary. 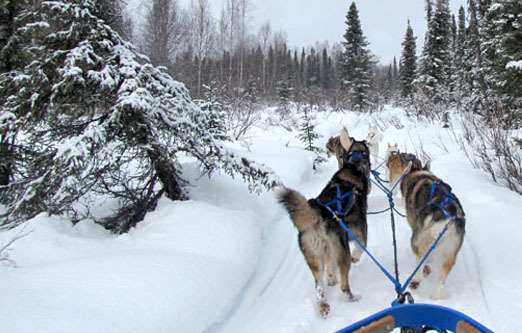 A forty acre haven devoted to sled dogs, run by mushers with over twenty years combined experience and access to limitless trails as far as the eye can see. Thank you to our 2017 - 2018 sponsors! 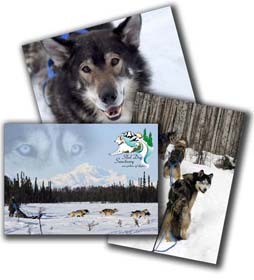 The Sled Dog Sanctuary is a registered 501c3 non-profit organization. Contributions are tax-deductible to the extent permitted by law. The Sled Dog Sanctuary is open by appointment only. We do not have regular visiting hours at this time. Email is the best way for us connect, and be sure to follow us on Facebook where we post our most recent updates. Copyright © 2014 - 2019 Sled Dog Sanctuary. All Rights Reserved.